GreatWall is a fresh and responsive WordPress theme from HappyThemes developer club. This theme is specially designed to use for all kind of online business websites. We can call it as a simply multipurpose WordPress theme that will fit for regular small to large size business, Corporate companies to showcase their services, Portfolio website for freelancers or photographers, creative agency to showcase their business, professional photography or portfolio, Travel Agency, sports or fitness center, Restaurant, Hotel, Medical, Construction, Product Landing page, Education, Online Store or just a Blog. GreatWall WordPress Theme comes with a free with limited customization possibilities and a premium version with unlimited customization possibilities. The design is very clean and professional coded by WordPress experts. It has been included with all necessary features to create a wonderful online business website! 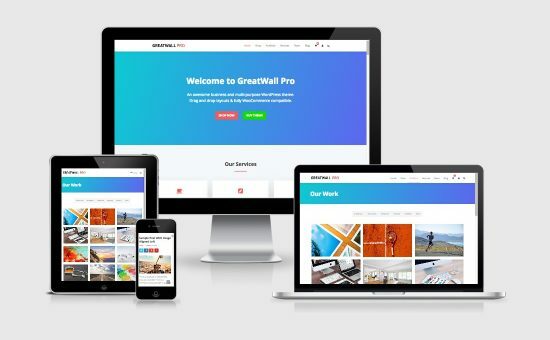 GreatWall WordPress Theme is an awesome responsive multipurpose WordPress business theme with competing for ease of use customization options. All you can do with a simple drag and drop elements from Visual Composer plugin! 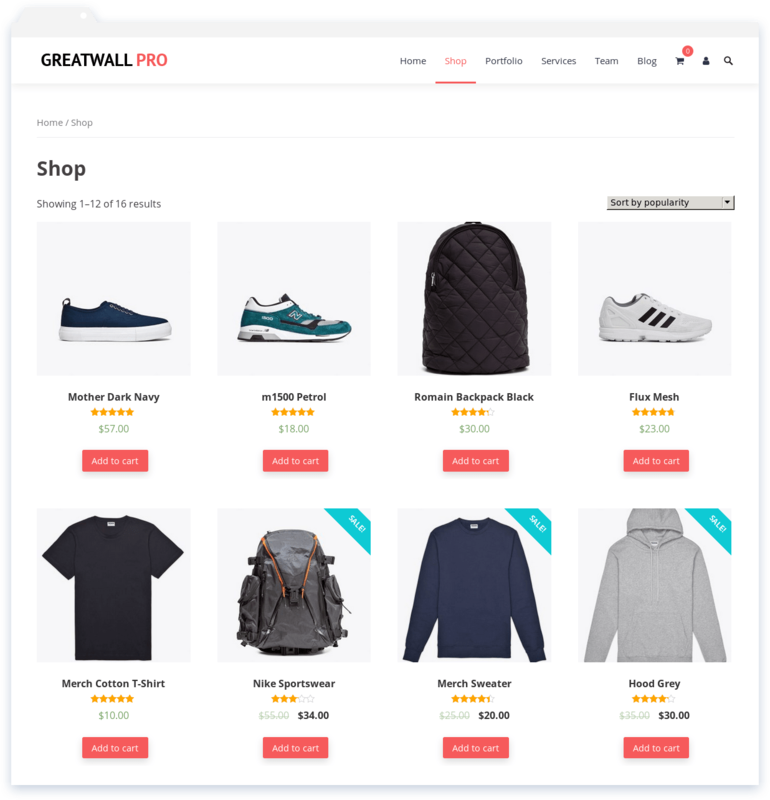 The greatwall theme comes with more than 50+ drag and drops elements which will help you to build an outstanding website for your clients/customers. Such as time counter, testimonials, pricing table, graphics, skill bar, timeline events about your business, WooCommerce integration for online shopping store websites, author bio section, team profile pictures, sponsored logos, revolution slider plugin and many more.